Ride from dusk to dawn in the #1 selling boot worldwide, the Thirty Two Lashed Crab Grab, with the best fit, flex, and comfort. Features like the Internal Lacing System and the Independent Eyestay ensure an excellent fit right out of the box, while the 3D Molded Tongue and Performance Backstay assure you that these boots can handle whatever it is you want to charge down. 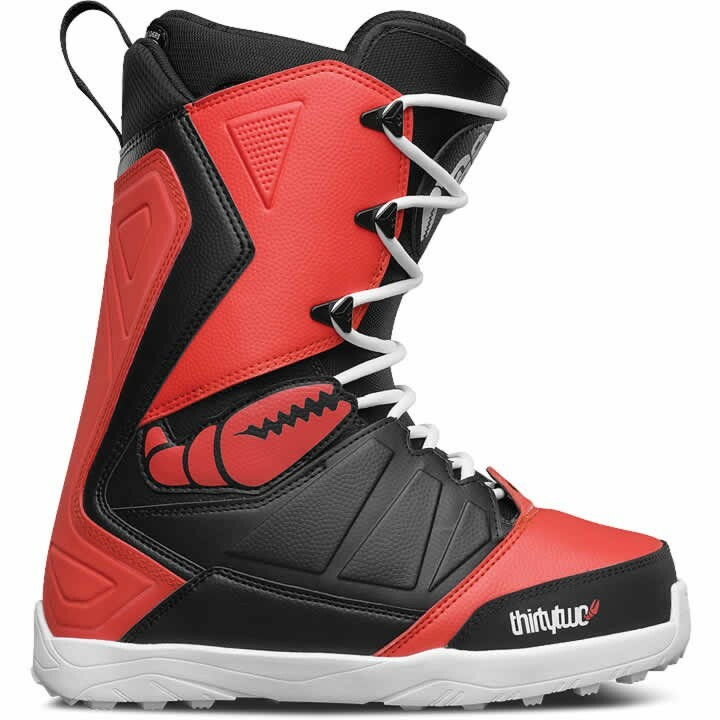 This boot has been designed with the friends at Crab Grab, makers of the world's finest snowboard traction, and their claws will keep your laces pulled tight. The CG Lashed is a team favorite, and these extra grippy boots will keep you from slipping all season long.